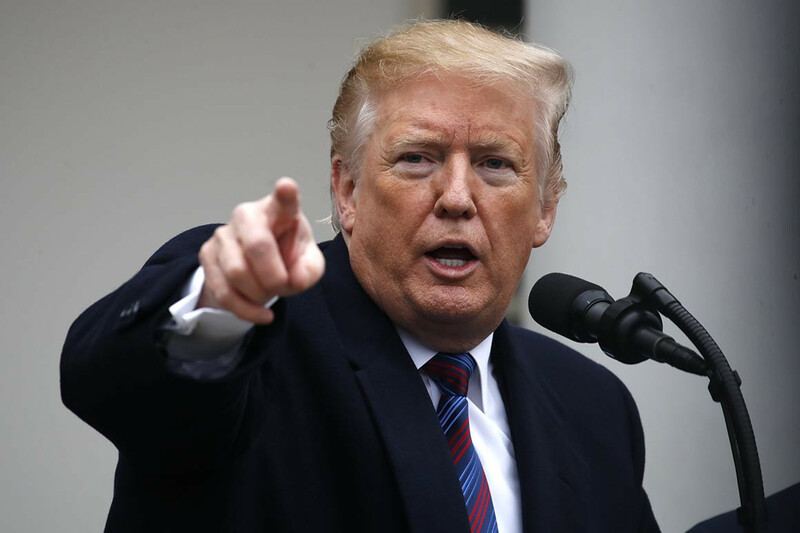 Washington sources reported that US President Donald Trump has halted his plan to declare a national emergency over immigration at the southern border, saying it was an "easy way out", but he remained open to declaring it at a later time. CNN quoted the President saying "It's the easy way out”. Furthermore Trump said one of the reasons Trump is reluctant to declare a national emergency is because he believes that his administration will be sued and that his actions will be blocked by the 9th Circuit. Previously White House lawyers began laying the groundwork for the legal defense of a national emergency declaration on the southern border. Moreover on Friday, Trump continued to bolster his case about the need to build a wall. Accordingly "The Steel Barrier, or Wall, should have been built by previous administrations long ago. They never got it done I will. Without it, our country cannot be safe. Criminals, gangs, human traffickers, drugs and so much other big trouble can easily pour in. It can be stopped cold!"